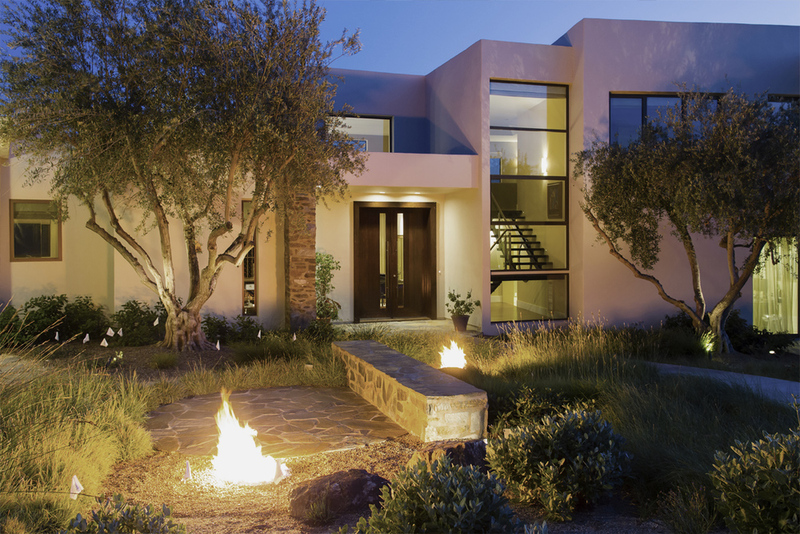 Edna Valley Residence — Isaman design, Inc.
Perched in the foothills of Edna Valley, this single family residence was designed to fulfill the clients’ desire for seamless indoor-outdoor living. 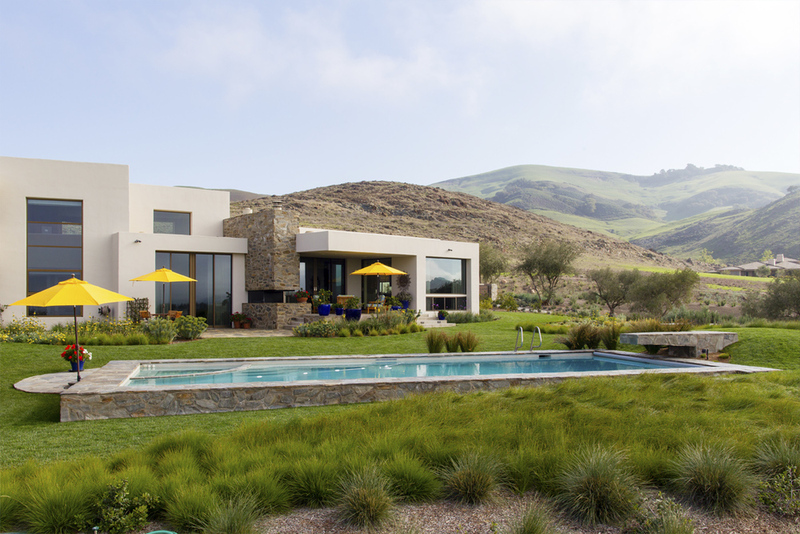 Much of the program and architectural forms were driven by the picturesque views of Edna Valley vineyards, visible from every room in the house. 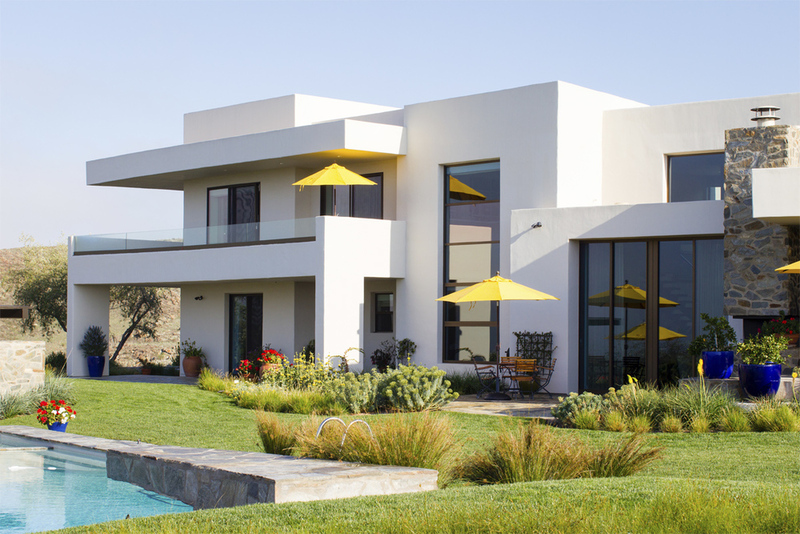 Ample amounts of glazing brighten the interior of the home, while framing the classic Central California landscape. Large pocketing sliding doors disappear when open, to effortlessly blend the main interior living spaces with the outdoor patios. 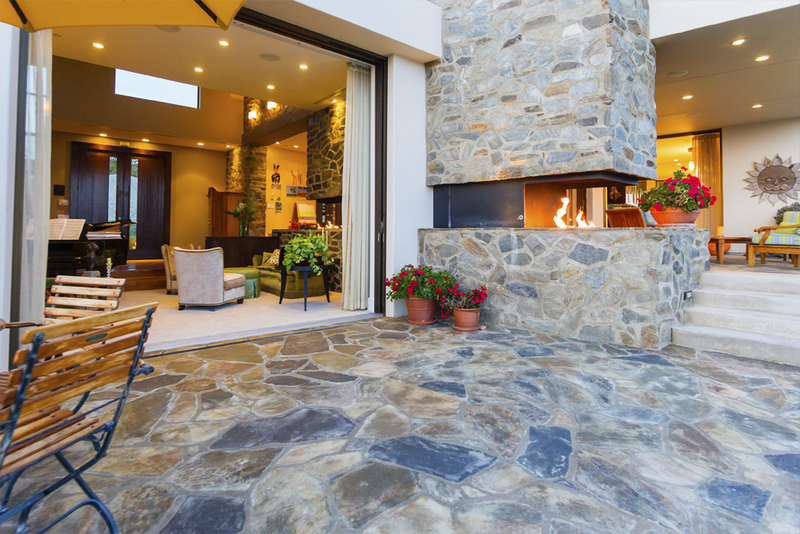 The stone spine wall runs from the exterior through the home, housing two different fireplaces that can be enjoyed indoors and out. Because the clients work from home, the plan was outfitted with two offices that provide bright and calm work spaces separate from the main living area. 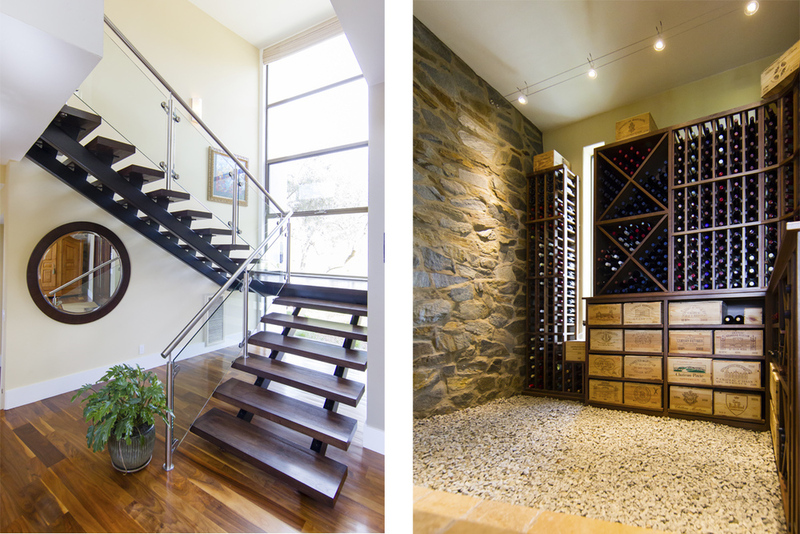 The interior of the home features a floating glass stair, a glass entry tower and two master decks outfitted with a hot tub and outdoor shower. Through working closely with the landscape architect, this rather contemporary home blends into the site to maximize the beauty of the surrounding rural area.